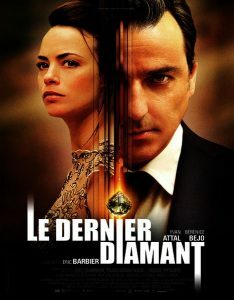 Le Dernier Diamant (The Last Diamond) is a French drama film released on 30th April. Directed by Éric Barbier, starring Yvan Attal, Bérénice Bejo & Jean-François Stévenin. Simon has just been released from prison and is on parole. His friend, Albert, lures him back to his old ways for one more hit. To steal the priceless diamond Florentin. Simon’s plan to steal the diamond goes sour. Others are also after the diamond, such as gangsters and ruthless killers.